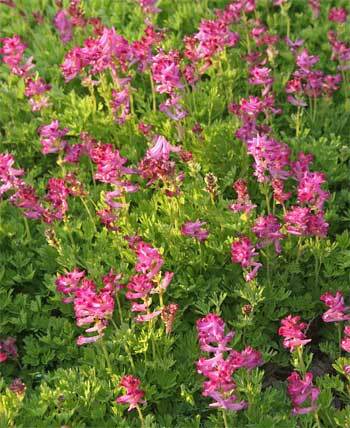 This Corydalis form mats of lime green leaves with delicate pink flowers appearing in May. 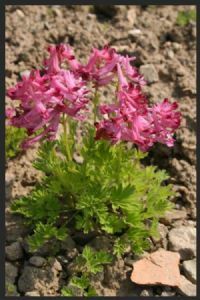 Slowly spreading from tiny yellow roots it likes soft leafy soil to run around in. Plant the roots immediately to avoid them drying out, 3cm deep. The plant will disappear underground shortly after flowering. 10cm tall.